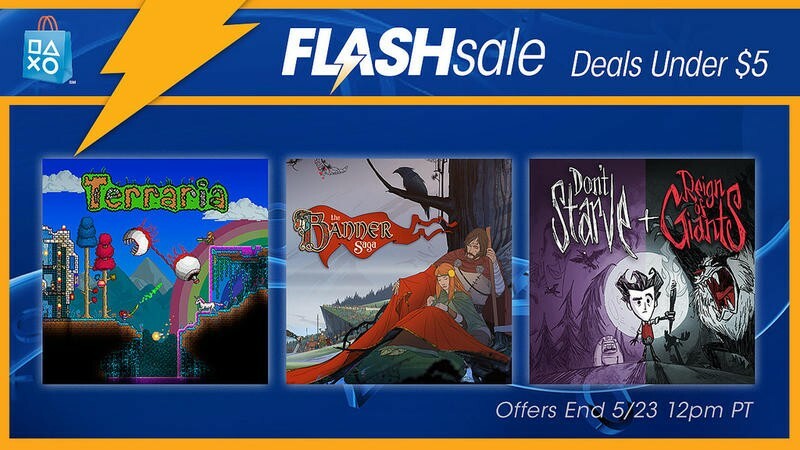 PlayStation Flash Sale! You know the drill! Sony drops them, I rate them. Thiss sale is being hyped as everything being sold under $5. Check out the full list of games below. Wow, lot's of great games to choose from. What are we going to recommend for a satisfying weekend? I don't think anyone is going to speak out against Shin Megami Tensei: Persona 3. The PSP port isnt as popular as the definitive FES PlayStation 2 version, but it's still solid enough for those looking to play on a mobile platform. Just be warned, it's going to take you longer than a weekend to beat it. Cutting into the indie games, Rogue Legacy would be my go-to game for a fun weekend of hack 'n slash gaming, and I've been meaning to dive into The Banner Saga as well. Just Cause 2, Red Dead Redemption, Grim Fandango Remastered, Okami HD, and DuckTales Remastered also register on my radar. Check them out if you have the time.